If a story is entertaining, does the truth really matter? Many films have tried to express this very idea, to varying success: Where the Wild Things Are, Big Fish, and even The Wizard of Oz. With this odd, little film however, you believe every word. 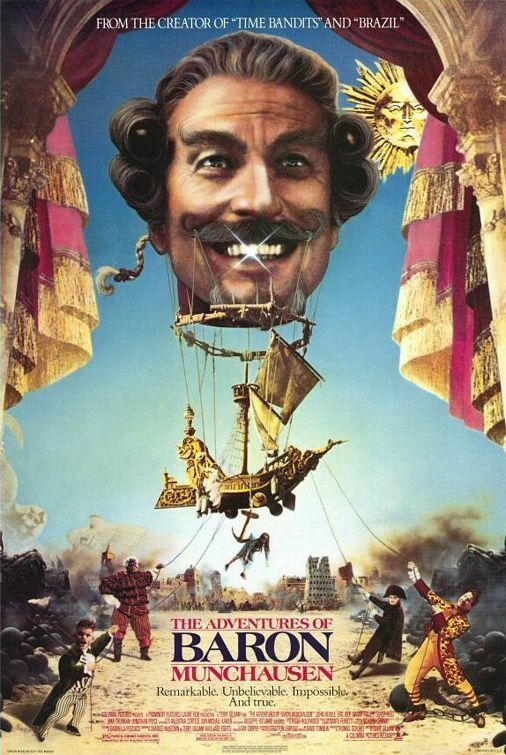 The roller coaster career of Terry Gilliam has had many highs and lows, but Baron von Munchausen is certainly one of the most successful attempts. 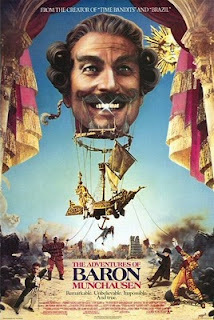 And as with any Gilliam endeavor, this is also a very messy film. There's people and animals and machines and war and death and magic, everywhere at once. And, also as usual, everything travels back and forth between different worlds, where the borders between reality and fantasy are dimmed. It might seem a bit too much in the beginning, but after a while you cannot help but be overwhelmed by the detailed extravagance of the universe.